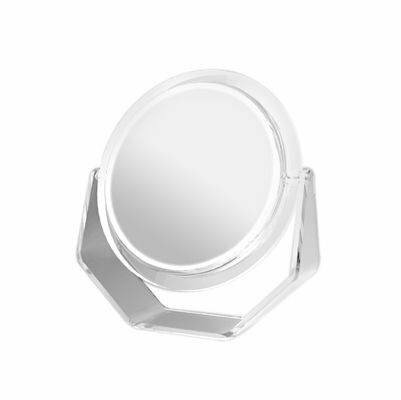 Zadro’s 5X Swivel Base Lighted Vanity Mirror features optical quality glass to ensure a clearer reflection of your true self. The 5X magnification is great for viewing up close in detail while still allowing you to see your entire face. Surround Light technology amplifies light across the entire mirror face for an even light dispersion and shadow-free reflection. The super-bright fluorescent light recreates the effects of natural sunlight for a softer, more refreshing glow. 100-Watt fluorescent, 10,000 hour, long life bulb. Mirror head swivels 180 degrees on a clear acrylic base. Polarized wall plug with On/Off switch. 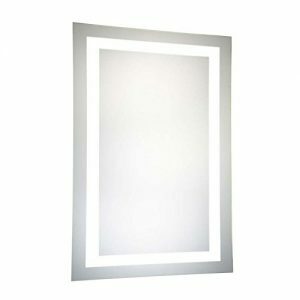 Mirror dimensions: 7-inches. Made in the USA. Holding more than 40 engineering and design patents, Zadro has created a brand with products that meet the ever-changing lifestyles and needs of their customers. Zadro continually provides functionality and elegant award winning product designs.